I have previously mentioned that National Center for Biotechnology Information (NCBI) is the mother of all databases because every database is borrowing data from NCBI either directly or indirectly. Beside the sequence and literature collections, I am really surprised by the vast amount of great instructional material available in topics related to genomics and bioinformatics on NCBI . It is unfortunate that there is not a “master list” somewhere of all of the instructional available from NCBI. Until that happens, I will try to share resources and list them here as I find them. 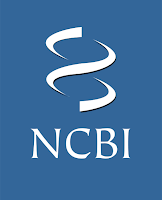 Here are some great resources from the NCBI. All training and tutorials resources on the NCBI pages are conveniently available on a single page. Some of the most helpful resources have been listed below. Do take a few minutes to visit the NCBI Education Page, where they provide How-To guides, links to classes and workshops from NCBI, lists of tutorials and problem sets, and tons of great documentation. NCBI Handbook : is about " using the resource, there is an account of how the resource works, including topics such as how data are included in a database, database design, query processing, and how the different resources relate to each other "
NCBI News : helps to stay up to date about NCBI. NCBI/NLM YouTube Channel : offers some fantastic short videos on everything from BLAST Expect values to the Genome Workbench to using MyNCBI for all sorts of good things. Can't locate URI/Escape.pm in @INC (@INC contains: /etc/perl /usr/local/lib/perl/5.14.2 /usr/local/share/perl/5.14.2 /usr/lib/perl5 /usr/share/perl5 /usr/lib/perl/5.14 /usr/share/perl/5.14 /usr/local/lib/site_perl .) at Blast_multiple_fasta.pl line 52. Which PERL script you are using?